← Ghosts. Demons. Gumbo. Road Trip! My Road Ghosts Trilogy – Four ’til Late on sale for 99 cents today only! Whiteboard Wednesday: On track with Trans-Continental: Girl in the Gears! I’ve mentioned Trans-Continental before, it is a steampunk story with a transgender main character. Well, as of less than a week ago, I finished my first draft of the first novella, Girl in the Gears! I’ve got it out to beta readers, and am anxiously awaiting their feedback. I’m also talking with an artist about possible cover ideas, and have an editor lined up for the final editing phase after I make changes based on beta input. So yeah, I am putting this title out under my Silly Hat Books indie label. Why, when I have two great small press publishers I work with already? I plan to put out other stuff with both of them in the future for sure, and I like working with them. But at times I really want to dig in with both hands and do things on my own. Translation: I might have control issues. And this story’s important to me for a few reasons, so I want to run with it and see where it takes me. Story time. I went with my wife to a psychic fair (to raise money for charity) and had a tarot reading from a friendly psychic named Cinder. She laid out the cards and couldn’t make sense of them and almost re-dealt, but something in them told me to tell her I’m transgender and an author, and that made them come into focus for her. She told me that I should write a transgender novella around the solstice of the year. I smiled and had warm fuzzies, but kind of dismissed the idea, not sure I wanted to be “that trans author” and I didn’t even have a story idea in mind yet. And then, in November, having forgotten the conversation, the seed idea for Trans-Continental: Girl in the Gears came to me in a dream. I dreamed about a trans woman in a steampunk world, flying around in an airship with an artful dodger type companion, only their airship had no ladder, so they could only get out in high places. It was very much like a wild steampunk story that Katina French might tell. I got up at 2:30 in the morning and scribbled down everything I could remember before it could fade. And in December, I started writing. It is set in the same steampunk world that we see as one of the realities Lee Green calls the “silly hat world”, though I’ve developed it a lot more than that glimpse we got in Reality Check. Anyway, I’m excited about the project, and will be bringing you more news as it develops. I hope to have it out in by June or July. 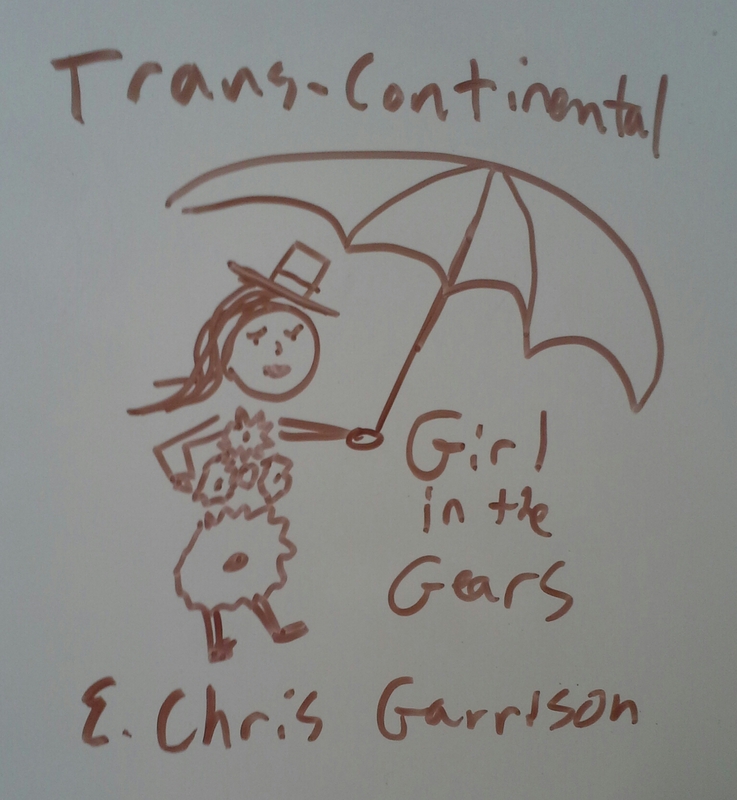 This entry was posted in Fun Stuff, Publishing, Silly Hat Books and tagged Girl in the Gears, steampunk, Trans-Continental, transgender, whiteboard wednesdays. Bookmark the permalink.